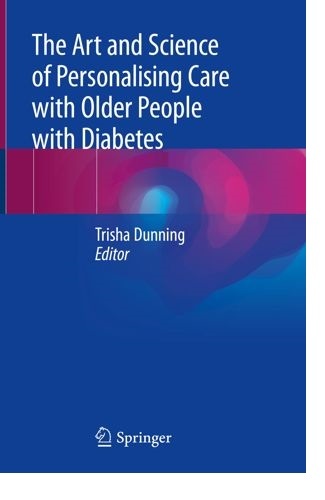 This unique book is intended for all health professionals caring for older people with diabetessuch as specialist and general nurses, doctors, primary care practioners and dieteticians. Although there is an increasing body of work about personalised care, no publications were identified that encompass the focus and scope of the proposed book. The global population is ageing and increasing age is a key risk factor for diabetes. Older people with diabetes are often vulnerable, have complex care needs and often have cognitive changes, which makes personalising care challenging for health professionals. Thus, this is an internationally relevant book filling a gap in the current literature. This is a practical and updated book that will use an engaging and easy to read narrative style. It challenges readers to reflect in and on their practice. It encompasses people with diabetes’ and authors’ stories, which are known to have a special interest to readers, make it easier to apply the information to practice, enhance learning, and hence the relevance and value of the book. It is relevant to advocacy organisations as well as managers and service planners. Researchers and scientists may find relevant information on grant and ethics applications, research protocols, plain language statements for potential participants and operationalising research protocols.